The variable valve train delivers multiple potentials to achieve future emission legislations by a reduction of engine out emissions and control of exhaust gas temperature. These characteristics have been demonstrated by numerous research projects in the past. As part of a FVV research project, the potential of a variable valve train in passenger car diesel engine application has been analysed and then evaluated at the Institute for Combustion Engines of RWTH Aachen University with the help of extended experimental investigations on a laboratory test bench and a demonstrator vehicle. The results of the research can be used to generate operation strategies to support the engine cold start and heat-up behaviour. 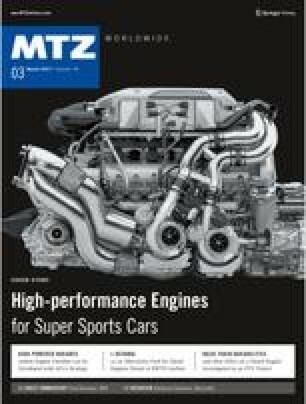 This report is the result of a scientific research project that was assigned by the Research Association for Combustion Engines (FVV) to the Institute for Combustion Engines of RWTH Aachen University headed by Professor Stefan Pischinger. The work was founded by the Federal Ministry of Economic Affairs and Energy (BMWi) through the German Federation of Industrial Research Associations (AiF, IGF-No. 18083). The Research Association for Combustion Engines would like to thank the BMWi and AiF for the financial sponsorship. The research project has been support by the FVV steering committee headed by the chairman Dipl.-Ing. Wolfgang Beberdick, Deutz AG. Special thanks go to the steering committee. Furthermore, special thanks go to the German Council of Science and Humanities (Wissenschaftsrat) and the Deutsche Forschungsgemeinschaft (DFG) for the funding of the Center for Mobile Propulsion (CMP) of RWTH Aachen University, which test facilities were used in the course of this project.